The project was won on GMR’s experience and knowledge that impressed from the initial site visit and meeting with the client. GMR offered expert advice to help guide the client achieve the best possible outcome. Planning to include site setup and project management. The above works all facilitated the vision of creating a modern office space that was sympathetic to the original building and heritage. The client, HMC was delighted with the results and appreciated the challenges faced in working within a city centre location. This included machine access, delivery of building supplies, waste management and of course health & safety. 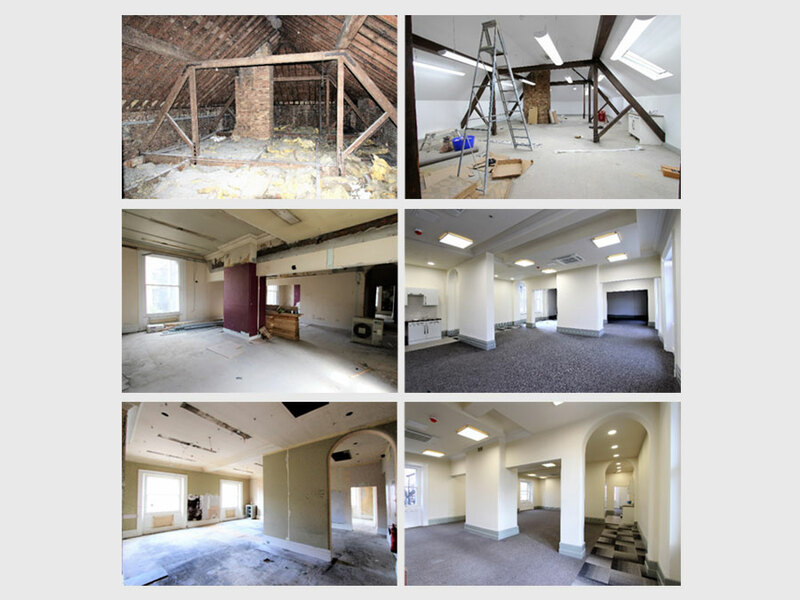 If you have a similar project that requires experience in dealing with a listed building, city centre location, office development, or commercial construction work then please call 0191 267 7905.